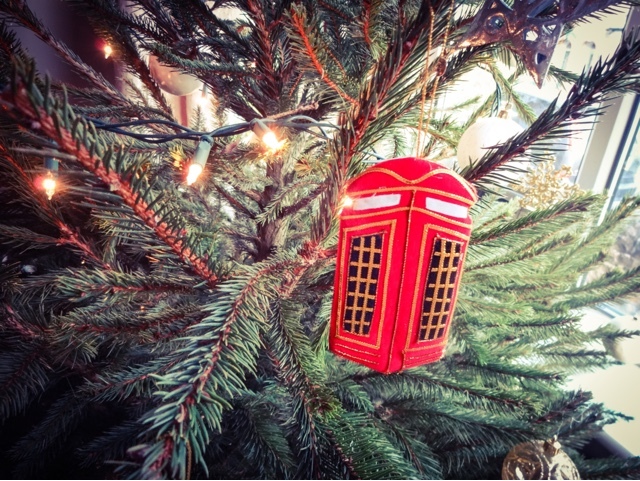 Did you all have a nice Christmas? 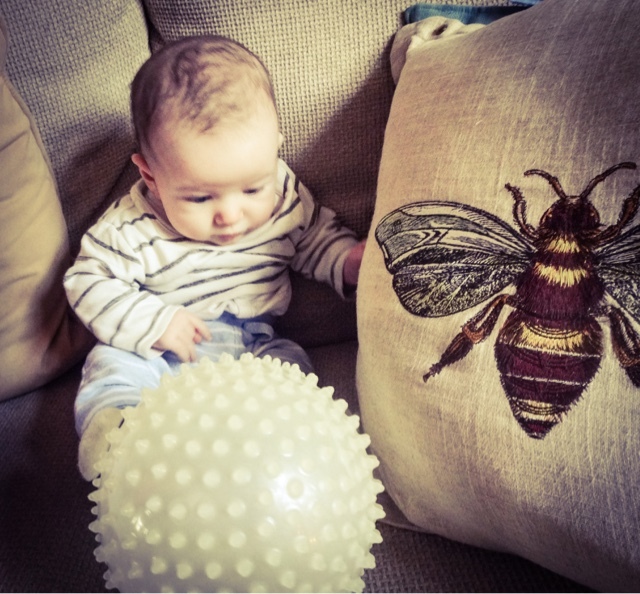 It was a very special one indeed in our house, as it was the very first one for our little boy, so of course we were determined to go all out and make it extra special. It was also the first year that we stayed at home. Normally, we spend the holidays touring round different sides of the family, but this year we decided that would be too stressful and we’d have a sort of ‘open house’. Somehow - and I'm not even sure how - that turned into us making Christmas dinner for eight, which was never the idea! It did put a bit of stress onto the day, but it was lovely to see how much everyone wanted to be with Theo on his day. 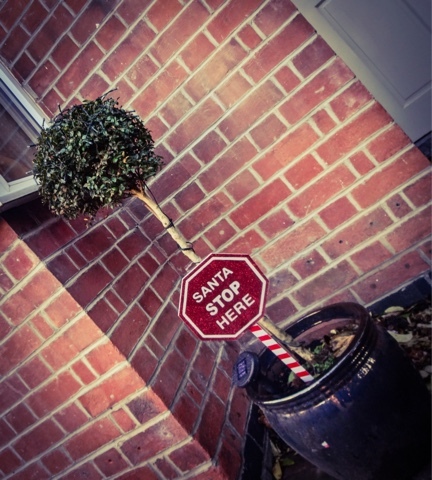 We dressed the house up nicely, and made sure our ‘Santa Stop Here’ sign was up outside so that the big guy knew he had a new visit to make! 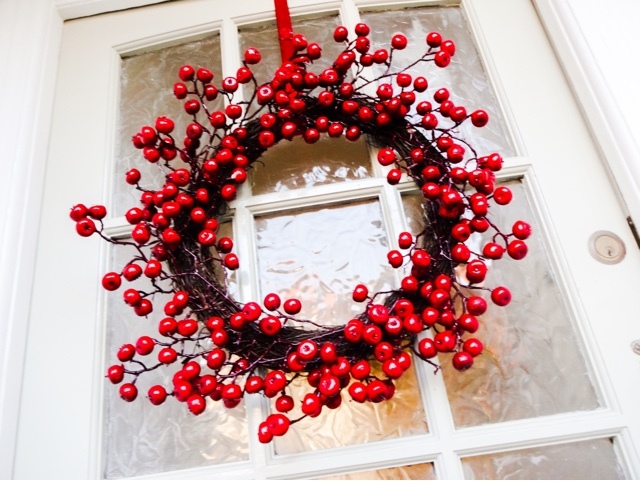 I decorated our front door with this gorgeous red berry wreath which was a find from Homesense. 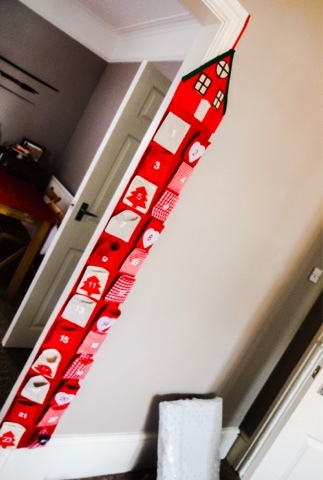 We’d also been counting down using our giant family advent calendar. 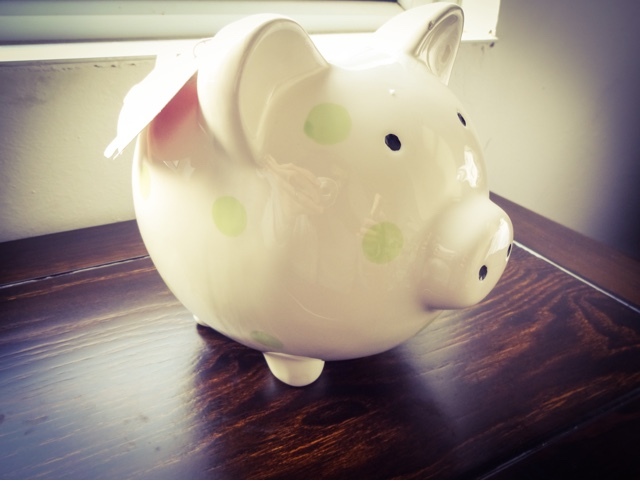 It's great because you can fill the pockets with whatever sweets you like or even little toys. 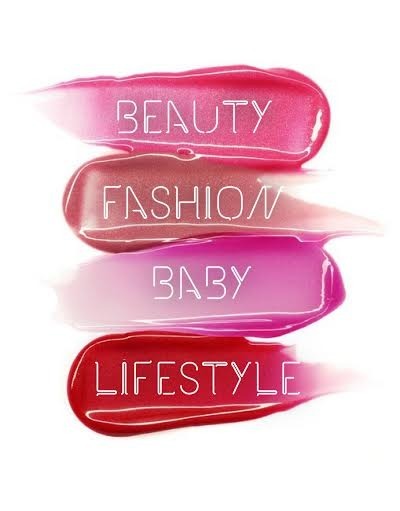 It's part of a bunch of stuff I reviewed a while back from The Christmas Boutique. 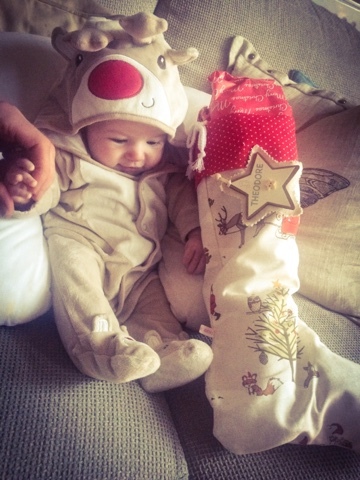 As Theo is so young this year and he doesn't understand about Christmas, we tried not to go too mad on presents. We decided to get him a couple of larger gifts and then a stocking with some small stuff in, but of course with the presents he very kindly got given from our extended families, he still ended up with lots! 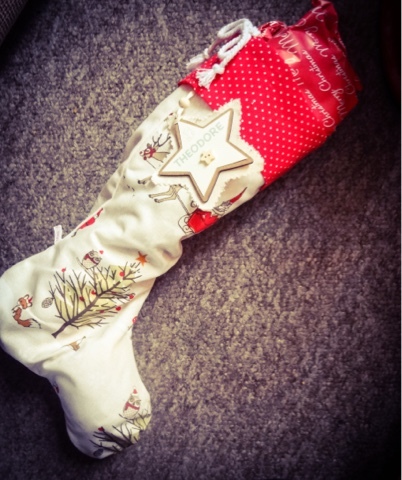 I found this gorgeous personalised woodland print hessian stocking from Lottie Ann Designs on Etsy, and was so pleased with the quality, it's gorgeous well made and will be with him forever. This year, I also made my own wrapping paper. It was really fun and I think it turned out nicely. 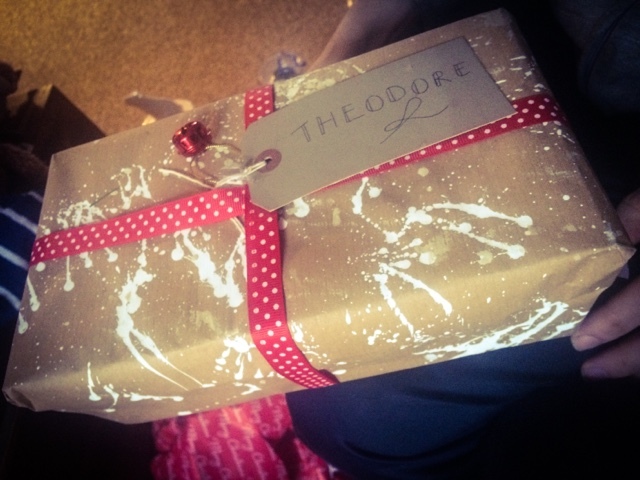 I just took plain brown parcel wrap, mixed up some white acrylic paint with water and splattered it! Fixed up with pretty red ribbons, I thought it looked quite good, and it was also fun to make. 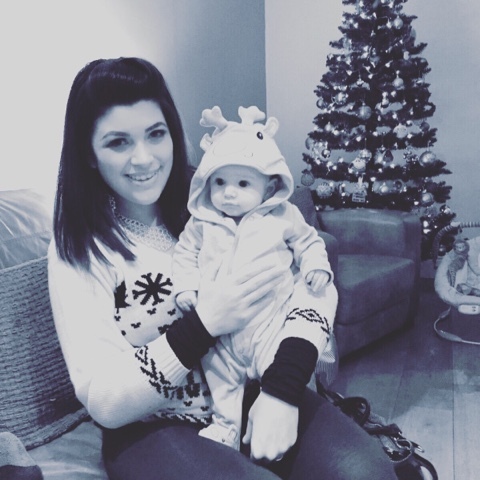 This year I insisted we both dress up in Christmas jumpers, although Seb managed to find a really tasteful one and bypass all the tack, which was totally not the point. 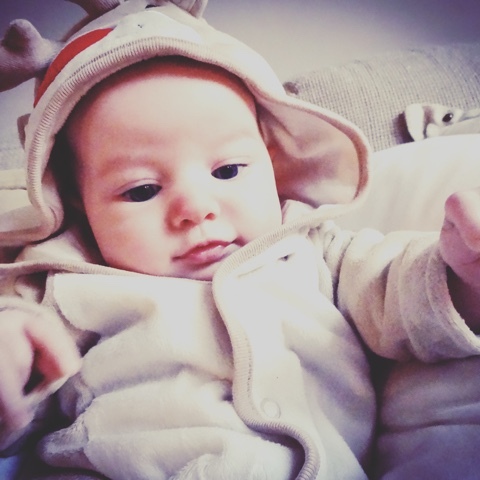 Theo had a little reindeer outfit that he was all cuddled up in. 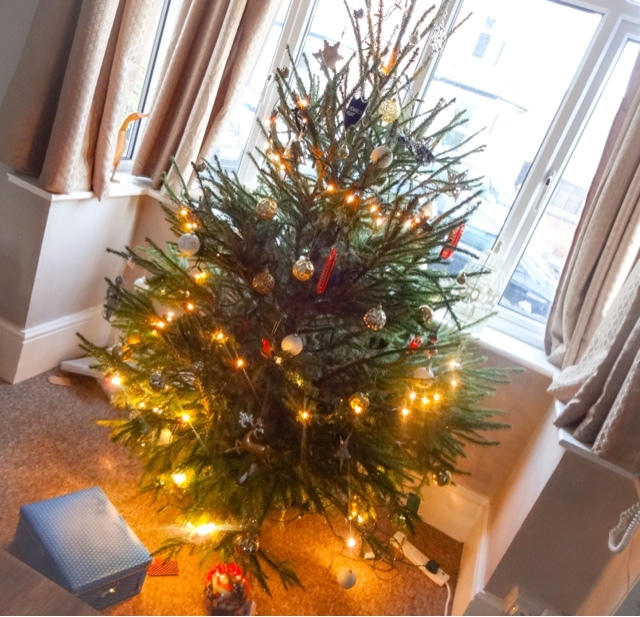 Our Christmas tree really made me feel festive as well. Each year, Seb and I buy each other a decoration for the tree, so we've built up a good collection now. Each year we compete to find the best ones. 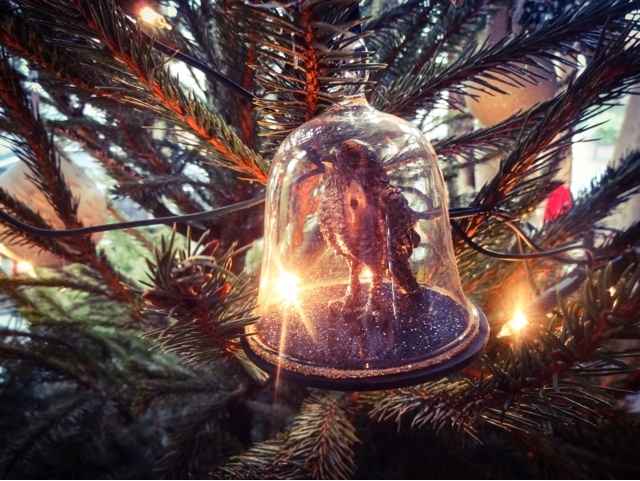 A few of my favourites are these cute little red telephone boxes Seb found in Harrods, this bronze Robin in a mini glass bell jar from Marks and Spencer, and this little knight in armour, which came from the gift shop at Mount's Bay when I went to visit my mum down in Cornwall. 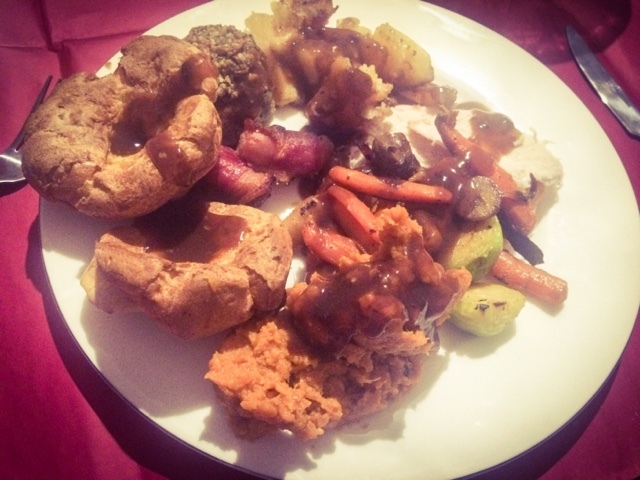 It was our first time making Christmas dinner, but I think we did really well. 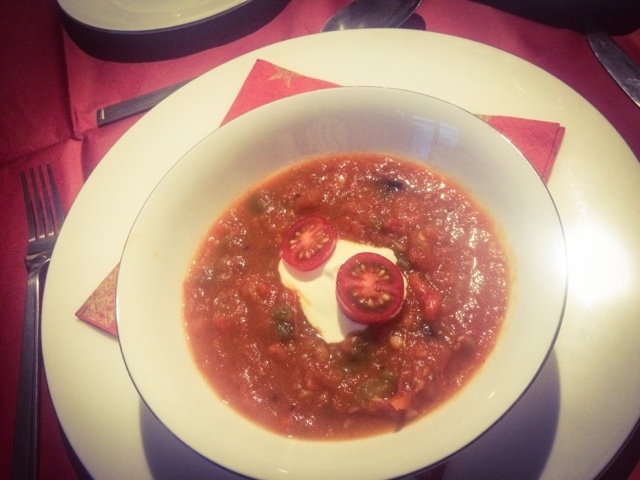 We made roasted red pepper and tomato soup with Creme fraiche and sourdough rolls to start, roast turkey with honey glazed carrots and parsnips, sweet potato mash, sautéed Brussels sprouts with chorizo and duck fat roasties to follow. It went down really well. Pudding was a Christmas pudding with Winter Berry and Prosecco cream (although I didn't manage to get a picture of that!). Yum! Full kudos to Seb who did most of the cooking while I looked after the baby and did a bit of sous-cheffing when I had the chance. 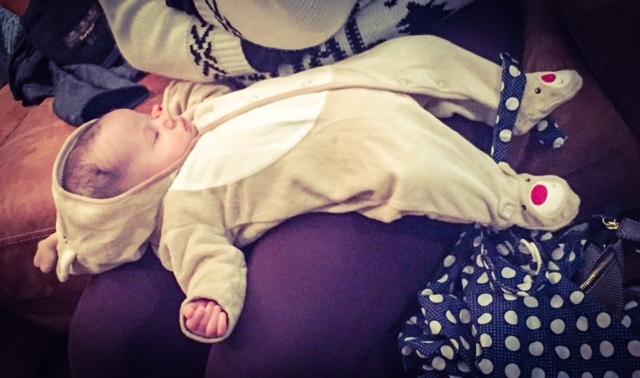 After dinner, Theo had a mountain of gifts to open and he was completely tired out! 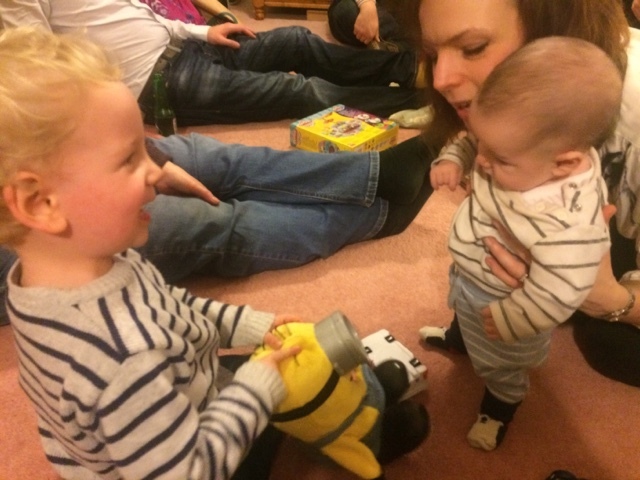 On Boxing Day, we all piled over to my sister in laws house so Theo could see his little cousins. 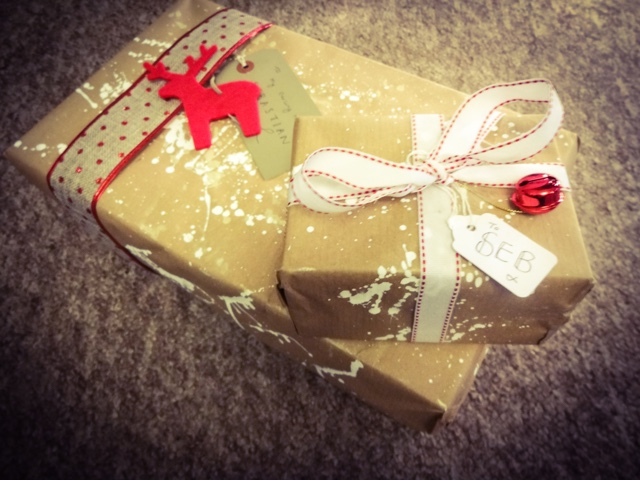 He got so many lovely gifts there's no way I can show them all, but I've decided to post a little selection of my favourites. 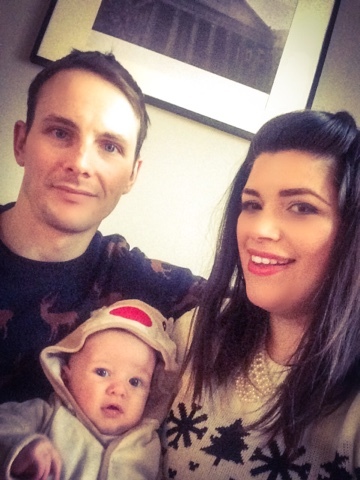 It was so touching to know that people wanted to help him celebrate his first Christmas. He got lots of books, a couple of puzzles and games, some soft toys and a few bigger gifts for when he's a few months older, like the MyChild Walk N Rock baby walker, and the ELC Blossom Farm Activity Station, that should keep him out of trouble, but they're staying in the boxes for now as he's a little bit too small for them! 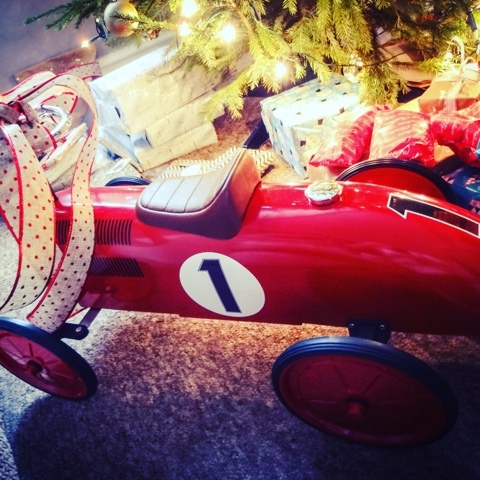 One of the main presents Seb and I got him was this retro racing car from The Toy Centre. 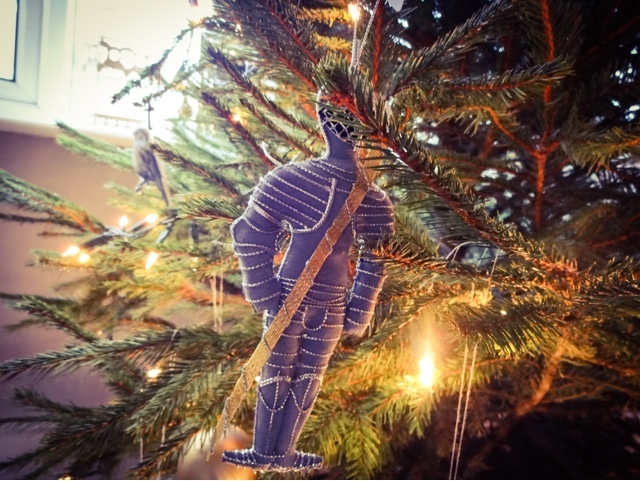 Wouldn't it be every little boys dream to see this under the tree? It's made of metal, which I really liked, and he can ride on it when he's a bit bigger but for now it will make a gorgeous nursery decoration. 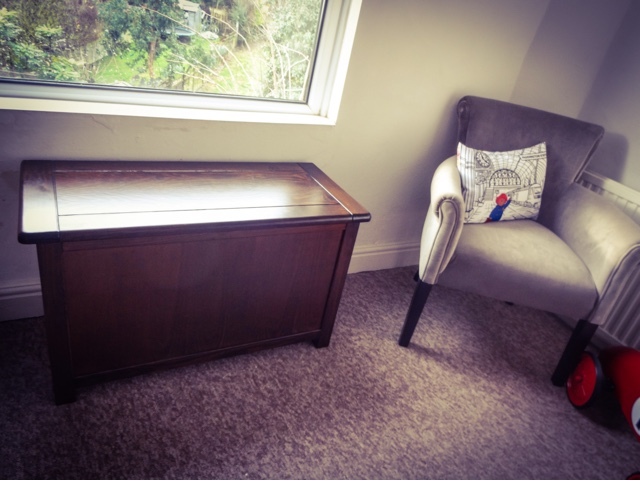 We also got him this solid wood ‘Iris’ blanket box from Home & Haus to keep all of his new toys in. I wanted him to have something that wasn't covered in teddy bears or sail boats so he can use it as he gets older as well. 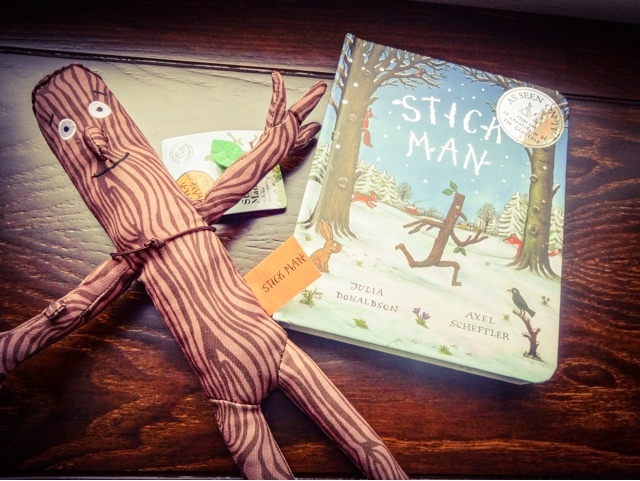 This Stick Man book and soft toy are all the rage with my nephew Jude, so I'm hoping Theo and he can enjoy it together. 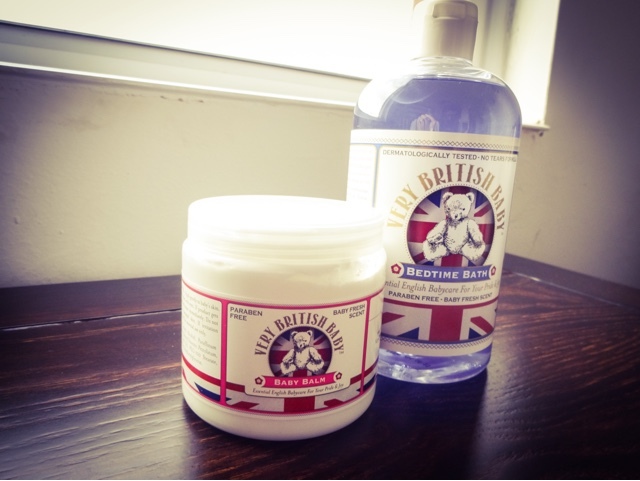 Some little stocking stuffer toiletries from Very British Baby - their Bedtime Bath and a jar of Baby Balm. 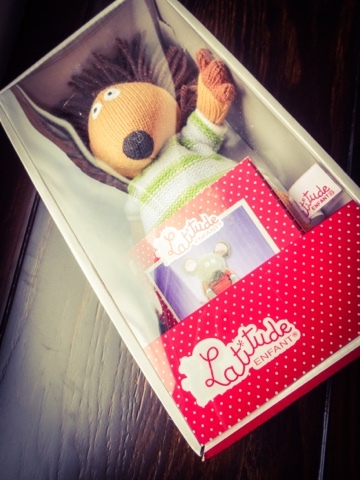 This adorable little chap is from French toymakers Latitude Enfant. He’s a little wooden hedgehog to snuggle up to. 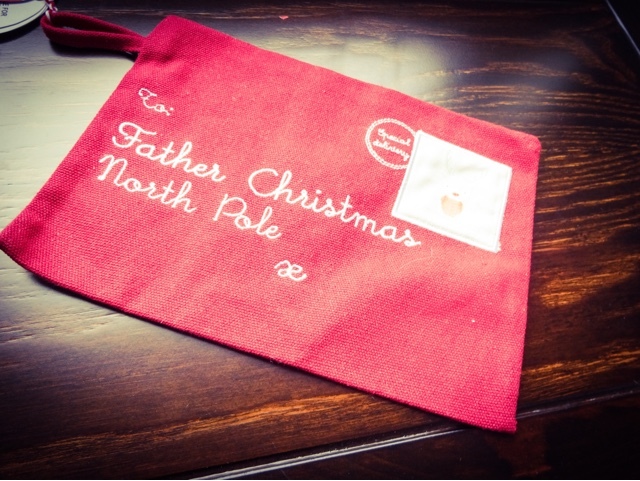 This amazing embroidered Santa Letter Envelope is from Mothercare. I'm hoping he can use it for years to come to write his letters to Father Christmas and leave out with a mince pie and a carrot for Rudolph! 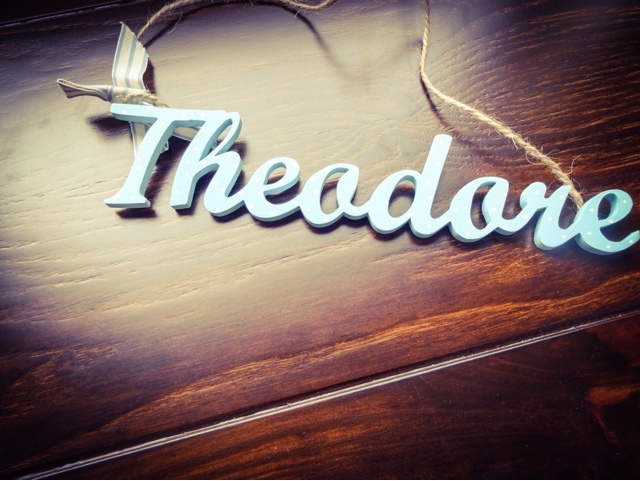 This beautiful wooden door sign was something I bought for him ages ago from Hickory and Co. They make little wooden puzzles and bunting and such for nursery decoration. 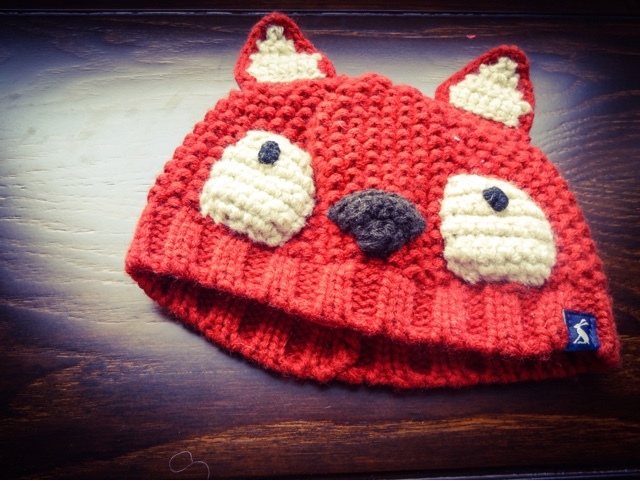 We also got him this cute woollen fox hat from Joules. 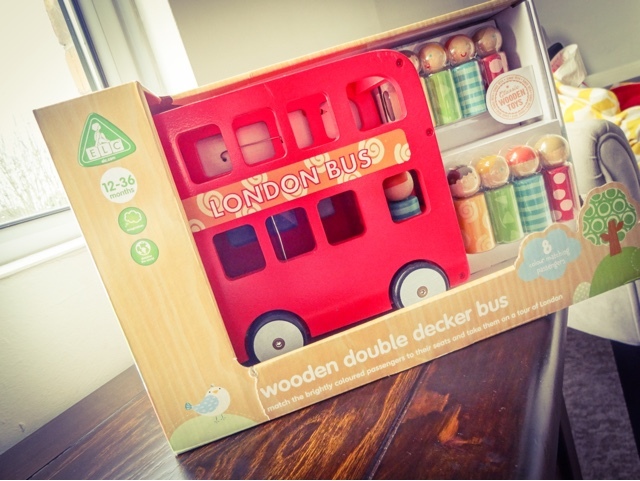 He got this lovely wooden red double decker bplay bus with passengers from the Early Learning Centre. There were also a fair few clothes for him. It's weird to think he’ll ever be in this size, but he's growing fast! 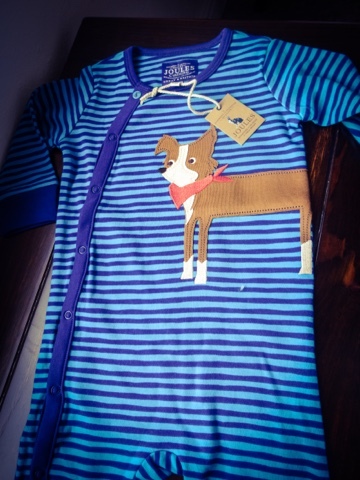 This gorgeous fox print grow and the stripy one with appliqué dog are from Joules. 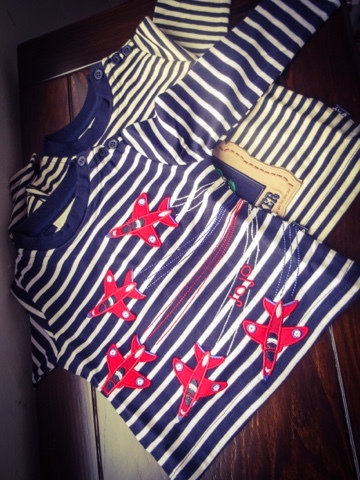 He got some cute stripy long sleeved tshirts from JoJo Maman Bebe, like this Red Arrows top. 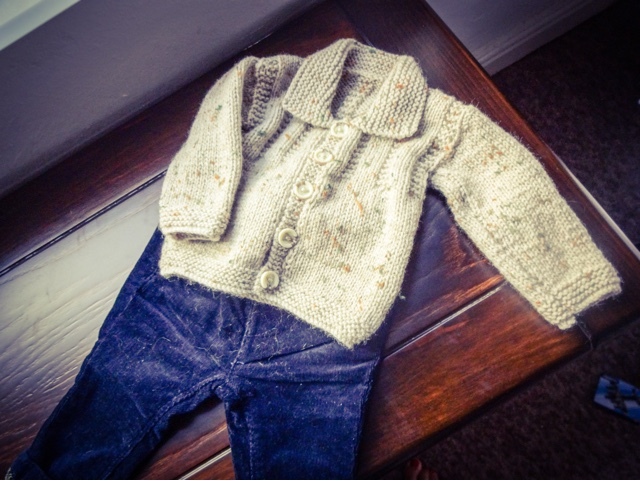 This beautiful knitted grey cardigan and Fair Isle knit baby grow are from Baby Boden. Aren't they sweet? 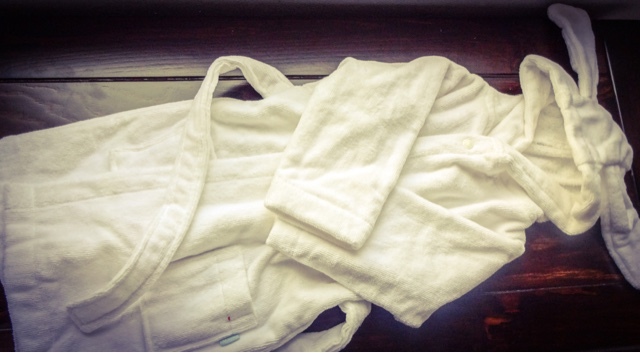 This gorgeous little white bathrobe with floppy ears is also from JoJo Maman Bebe. 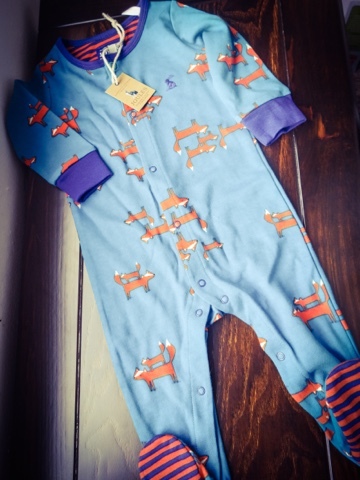 I seriously wish they did an adult one, it's super soft and just gorgeous. Then he got this amazing little hand knitted shawl collar cardigan, and some dark navy cord trousers from Next. 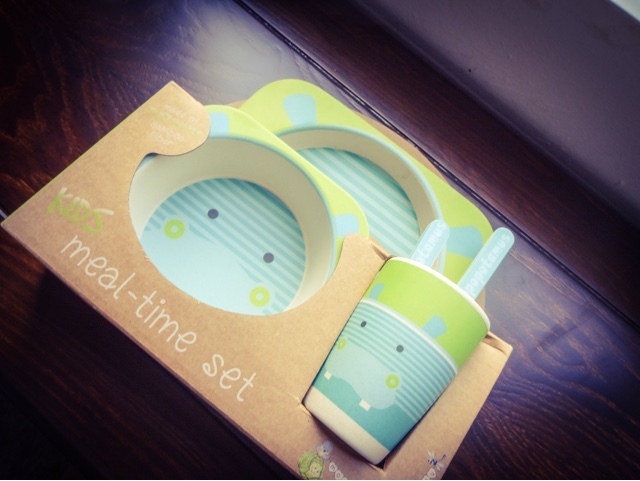 This cute meal time set of bowl, plate, cup and cutlery from Mon Petite Chou is made of eco-friendly recycled bamboo and the cute hippo design will help him to learn about eating. I can't believe he’ll be using these before too long. 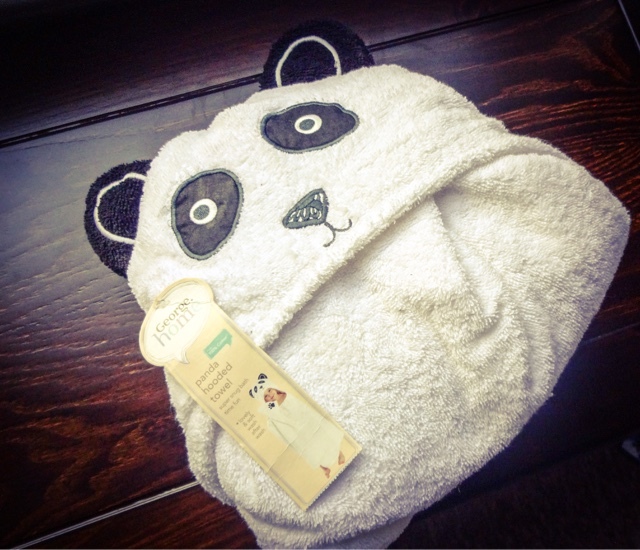 And this sweet panda hooded towel was something I just picked up from George at Asda to make bath time a little more fun - he doesn't need much convincing though as he's always liked his baths and the cuddle dry afterwards. Although he's very young, I hope he had a lovely day surrounded by friends and family that love him and hopefully, even if he didn't know exactly what was going on, he could feel the magic of Christmas around him.